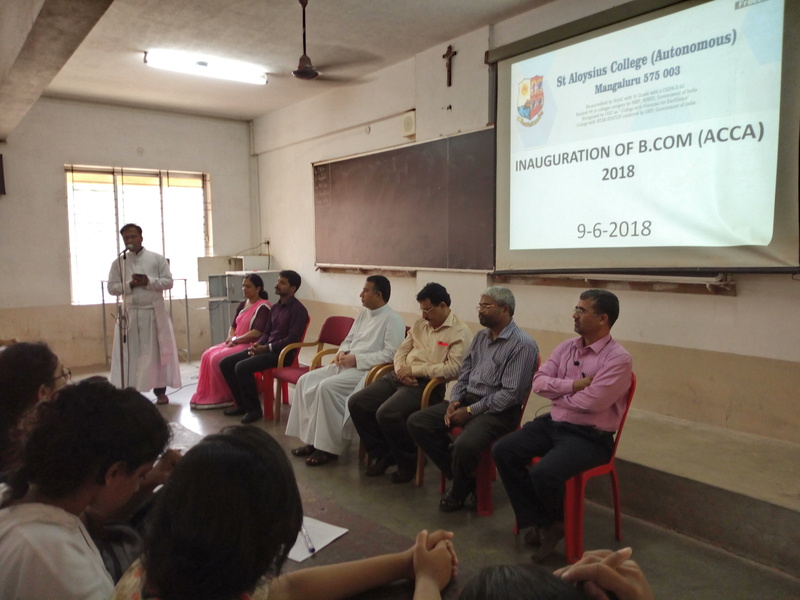 The inaugural of New batch of B.Com. 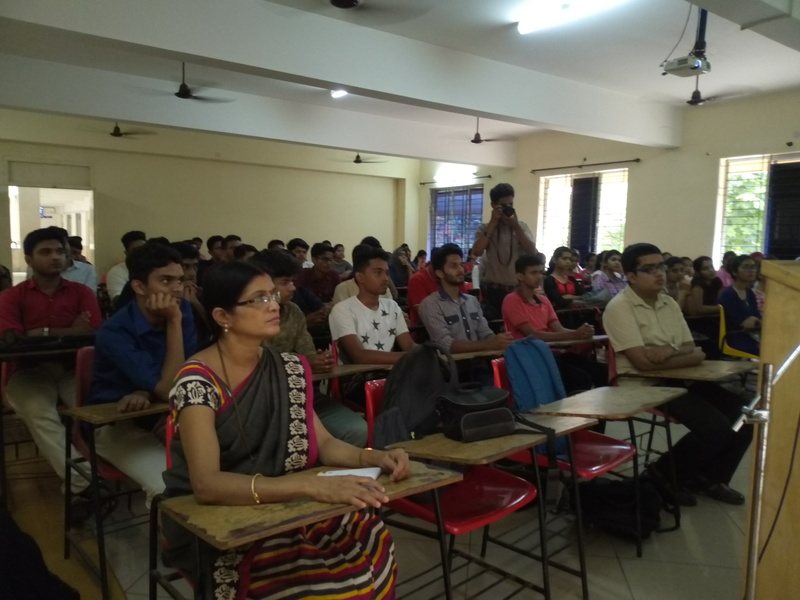 (Professional) Programme and B.Com with ACCA at St Aloysius College (Autonomous) was held on June 8 & 9, 2018 respectively in the AR Block AV room. Rev Dr Praveen Martis, Principal presided over the function. 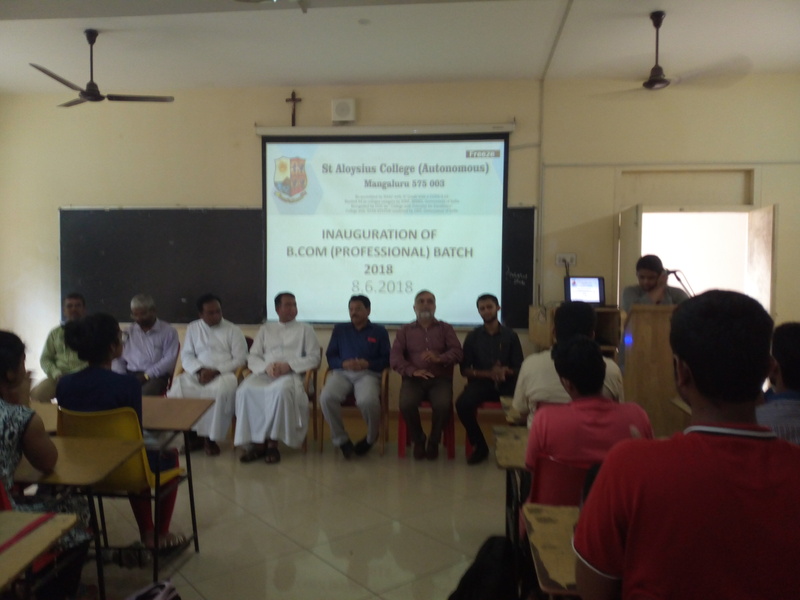 Dr A M Narahari, Registrar, Rev Fr Pradeep Antony, Director of AR Block, CA Kiran Vasanth of KVC Academy, Dr Suresh Poojary, Dean, Faculty of Commerce, Dr Manuel Tauro, HoD of Commerce, CA Lovel Monteiro, Ms Matilda Pais, Course Coordinator, Ms Vasumathi, ISDC (ACCA), Local Head were present on the occasion. The B.Com. Professional course will be conducted in association with KVC Academy, Mangaluru and B.Com. (ACCA) course will be conducted in association with ISDC (UK). About 160 students have been enrolled to these programmes. The integrated B.Com. and B.Com. (ACCA) will offer professional training and coaching for preparing the students for Chartered Accountancy course and other such professional exams. Both these classes will begin at 7.00 am in the morning. Professionals including Chartered Accountants will be involved in the training and coaching the students. The Regional Head, Mrs. Vasumathi Shetty in her address briefed the students about ISDC (UK) which offers International level curriculum to the students of B.Com with ACCA course. She also said that the updation of curriculum is the need of the hour for the fast changing global scenario. Hence it is necessary that the students have to be trained in the international level. Principal, Rev. Fr. Praveen Martis SJ in his address stressed the students that one must believe in oneself and involve themselves with commitment. Students must make the ultimate use of the curriculum so also involve themselves in all the curricular and extra-curricular activities. The Founder Director of KVC Academy, CA Kiran Vasanth in his address, encouraged students to become Chartered Accountants with new visions. He also said that the vision should be implemented with proper education. The Registrar, Dr. A.M. Narahari guided the students to be professionals in their pursuit of becoming Chartered Accountants. He also said that every student should have an action plan and choose the right option in their stream.